Manx students will have to pay an extra 10p per journey after school bus fares rise to 40p for those with Go School smart travel cards. 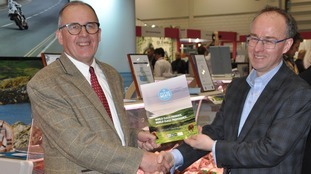 'Isle of Man Meats' has announced a strategic partnership with Suffolk-based 'Northgate Foods'. People in the North West are being urged to follow simple steps to avoid being scammed. The Treasury Minister has revealed the Isle of Man's spending plans in the annual Manx Budget. Many here are worried about how they'll cope if they lose their job or receive an unexpected bill. Philip Hammond has set out his Budget plans in the Commons, where he declared that the "era of austerity is finally coming to an end". The Isle of Man's parliament is due to approve an increase in the minimum wage later this month. It follows recommendations from the Minimum Wage Committee to the Department for Enterprise. Changes include removing the different wage rates for those aged 18 to 20 and 21 to 24, so that the main rate will apply to all over 18.
the hourly rate for employees over compulsory school age but not yet 18 would increase by 15p from £5.70 to £5.85. the main rate of minimum wage for workers aged over 18 will be £7.85 an hour, an increase of 35p for workers over 25 years, 65p for workers aged 21 to 24, and £1 for workers aged 18 to 20. If approved by Tynwald, the new rates would take effect from 1st October. The recommendations to Tynwald are put forward in the spirit of fairness and equality as we continue to position the Isle of Man as a progressive, diverse, and attractive place to live and work. The simplification of the different minimum wage rates will also support our Island’s drive to attract and retain more young workers as well as streamlining the guidelines for employers.